Also, I will be hosting a seven days of giveaways on my Instagram starting today! You can find me @thefamjewels. Some of the products here will be part of the giveaways, so be sure to follow along and enter to win! 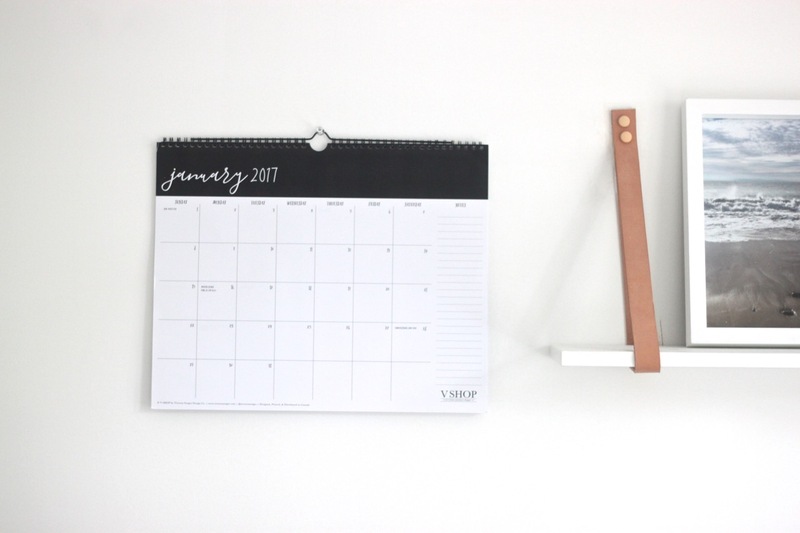 V Shop by Victoria Senges 16 month Wall or Desk Calendar $25.00 – This 12 X 15 calendar is not only large enough to fill out your daily activities, it also looks nice on your wall. Victoria is a local graphic designer and shop owner. She carries a collection of beautifully designed planners, notepads and more. You can view her collection here. 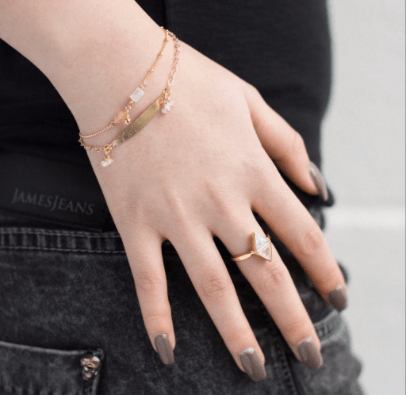 Quinsco 4 piece bracelet stack $38.72 and up (depending on selection) – This Toronto jewelry designer creates chic, handmade layering jewlery for the everyday woman. These bracelets are extremely verstaile and work for anyone, and any outfit. I wear mine almost daily! View the entire collection here. 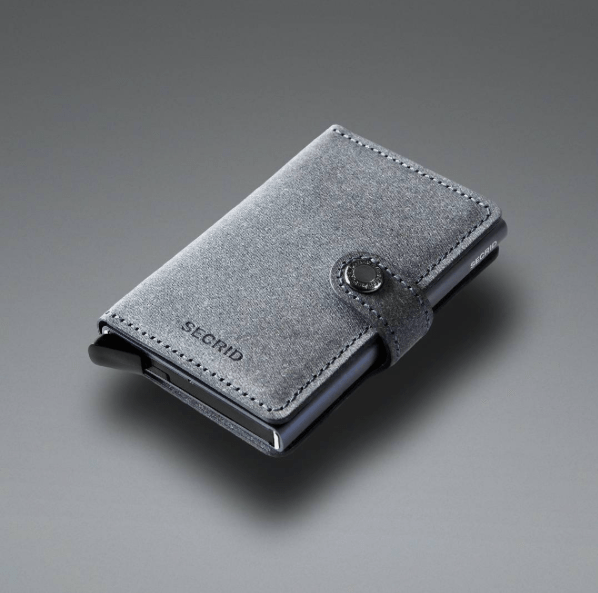 Secrid Wallet $89.95 and up – This brand of wallets from the Netherlands combines a technical element with a sleek looking design. Protect your money and cards with a simple switch. It is small enough to even fit into a clutch! Mamas (or Dads! ), this one is for you. 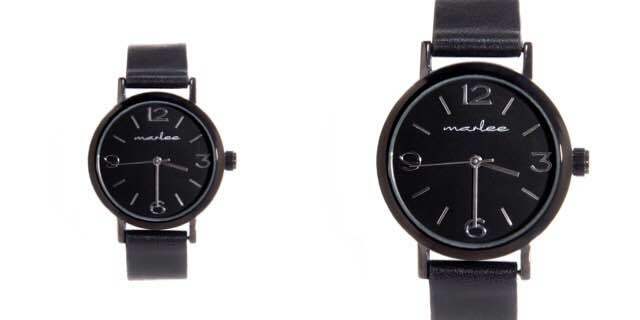 Several colour options available. You can find these wallets locally at Bella & Wren. Dwell & Slumber Onyx Caftan $62.00 USD – This loose fitting modern house dress is bump-friendly, nursing friendly and travel friendly. Perfect for any new or expecting moms. Ideal for those days lounging at home, or an vacation. They also have a beautiful Instagram feed with plenty of inpsiration on how to style yours. Several colours and patterns shown here. Keltie Leanne Mirror Ring in Moonstone $120 – The Vancouver based jewelry designer uses 14K gold and gold fill, sterling silver and carefully sourced gemstones to create unique, eye-catching jewelry that any woman would be over the moon to receive. I love the shape and colour combination of this ring, and use it as my statement piece amongst other fine stacking rings to create a diverse mix. Her entire collection can be viewed here. 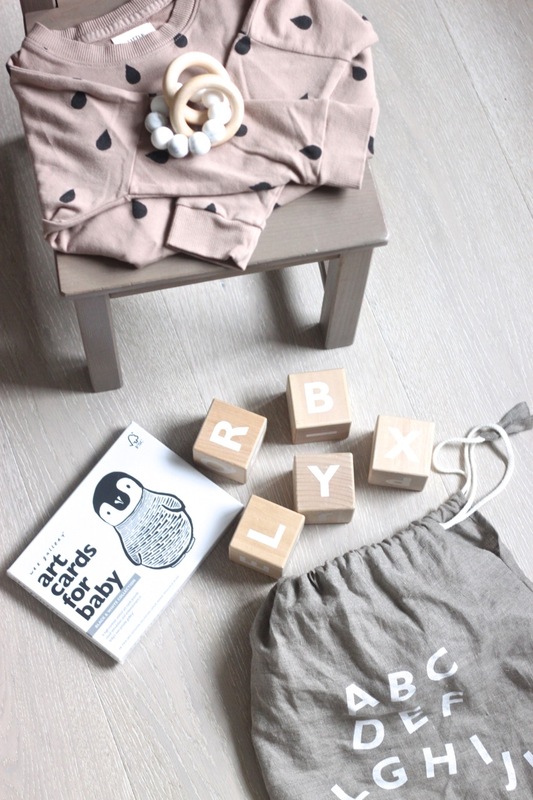 littleminimalist.ca – This Montreal based online kids boutique carries an adorable collection of modern-inspired clothing, accessories, toys and gifts. It has quickly become one of my favourite places to shop for kids products. A few of my must-have gift items include Black and White art cards for babies by Wee Cards, Wooden Alphabet Blocks by Ohh Noo, Raindrop Sweater from Little Urban Apparel, and this Burly Teether by Otherwear. 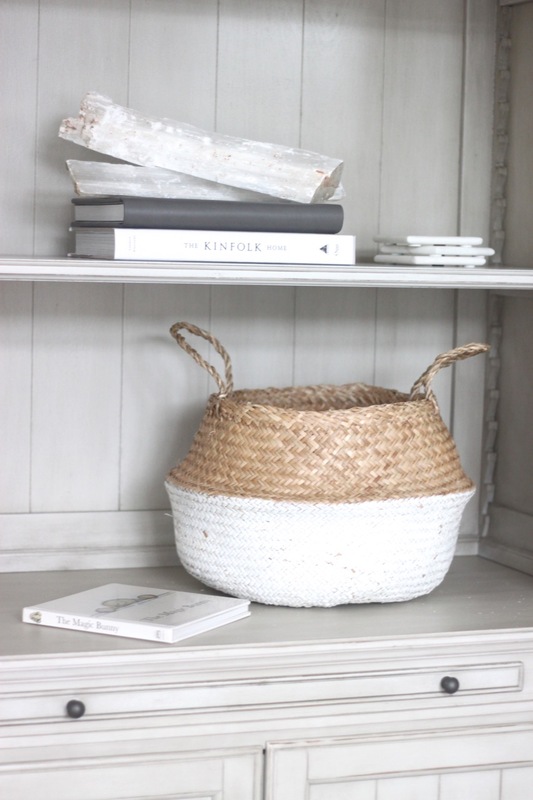 Medium Sized White Dipped Belly Basket by Brooklyn’s Room $54 – This popular trend in home decor makes for the perfect storage solution for kids toys and books (and also looks pretty in your home!). This Canadian online kids store is new this year; they carry a great selection of stylish home decor and gift items for your littles. Rex loves to use his belly basket for his books! I love that it also has handles. A larger size and other colour options can be found here. Mom + Mini Minimalist Watches from Marlee Watch Co. $109.95 AUD, $59.95 AUD – This Australian line of children’s modern timepieces has JUST released an adult collection, so that you can match with your mini. Other colour options available here. I cannot wait for ours to arrive so we can be twinning (even more… lol). Great gift option for the stylish modern moms in your life! 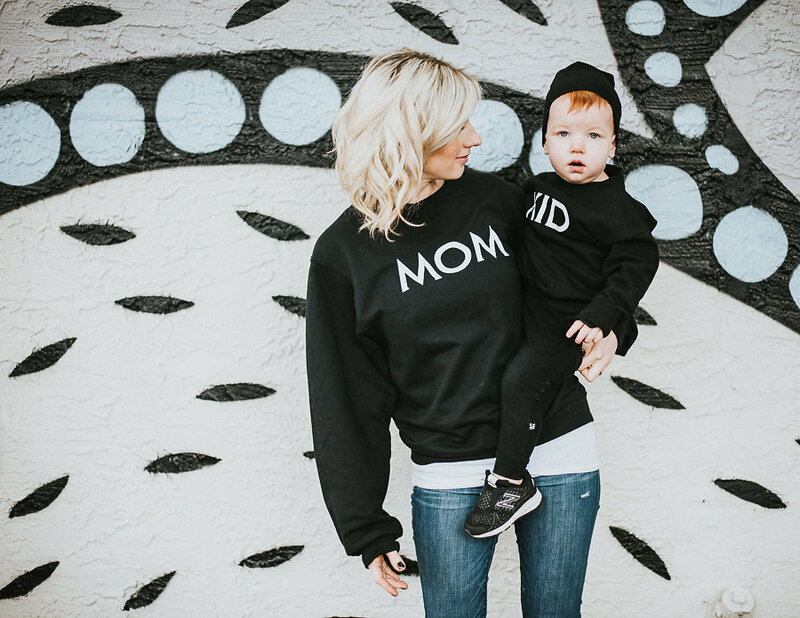 Mom and Kid Matching Sweatshirts by Mosies Cozies $50, $35 – Need I say more?? This is the perfect gift for the moms in your life, especially those who enjoy a good cozy sweatshirt 😉 Lena from Mosies Cozies has the sweetest selection of children’s clothing and accessories (and she’s local!). These sweatshirts are part of her latest collection, and can be found in black or grey here. I hope you have enjoyed my roundup of gift ideas! Feel free to comment or email me with any questions regarding the products. Make sure to follow along on Instagram for a chance to win some of these items!